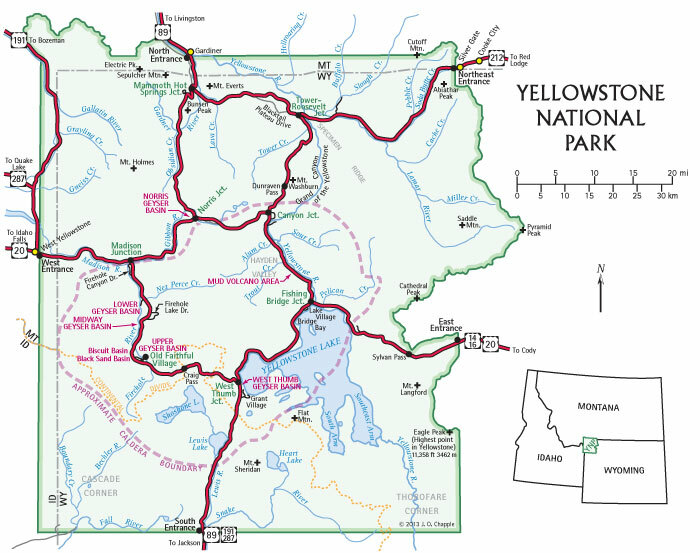 This map appears on pages 2–3 of the Yellowstone Treasures guidebook. Notice the figure 8 of park roads in the middle: that is the Grand Loop Road. You can also see the approximate boundary of the Yellowstone Caldera, which is shown as a pink dashed line.